You and your guests will love the comfort, support and sleep you’ll get with our sleeper sofa mattresses, which are always made in the USA! Available in common and custom sizes for a perfect fit. And shipping is always fast & free! Our Gold quality sofa mattress series keeps the cost to a minimum. Our Platinum quality sleeper sofa mattress series goes all out and is the perfect choice for a heavier weight sleeper or a combination of sleepers weighing over 250 lbs. Both the Gold and the Platinum are superior sofa bed mattresses that ensure you will never feel that uncomfortable bar. 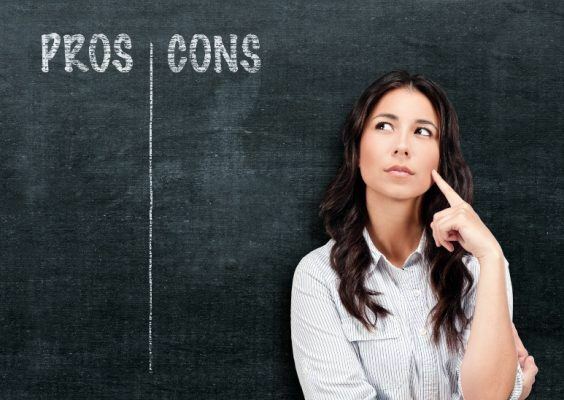 While how long you plan on keeping the sofa mattress and frequency of use are important considerations when choosing a mattress style, the weight of the sleeper is probably the most important. Most sleepers will find the Gold hide-a-bed mattress (foam density: 1.8 lbs. per cu. ft.) an excellent choice. 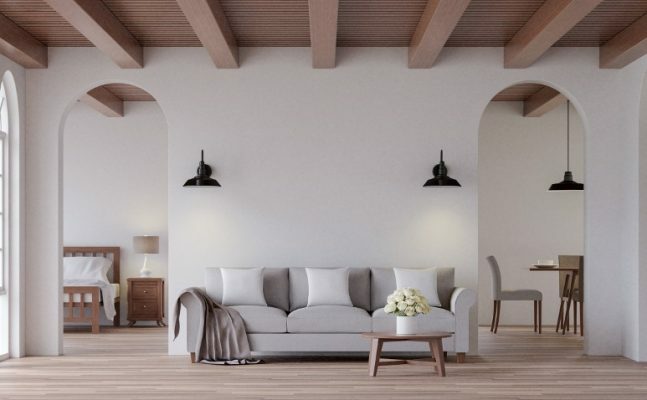 Heavyweight sleepers will compress the replacement mattress beyond its ability to cushion the bar, so the denser foam of the Platinum sofa bed mattress (foam density 2.5 lbs. per cu. ft.) will be more comfortable. Denser foam does not mean harder. 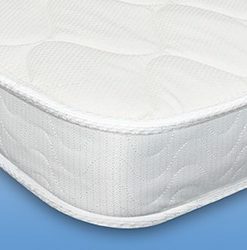 With ordinary foam mattresses—the thicker the better. 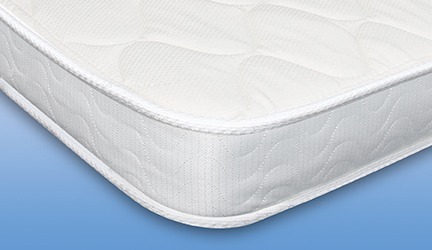 In sofa sleeper mattresses, if the foam is too thick the replacement mattress feels great at first. But after it’s folded away in the closed sofa for a little while the folds get permanently set. 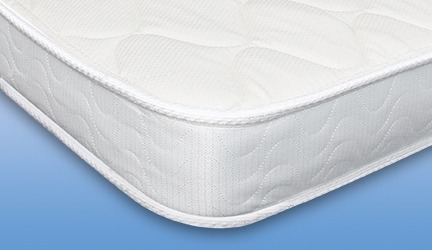 A 4-inch thick pull out bed mattress has no noticeable compression set, even after two years folded up. It is very important to have high quality foam. Sofa bed mattresses with poor quality foam will stay folded after just a few weeks. Mattress cloth covers are referred to as ticking. With hide-a-bed mattresses, we have found that heavily quilted ticking (which is desirable in most mattresses) bunches up in the creases when it is folded away inside the sofa bed. This bunching causes other issues as well. The mattress cover shifts around so that the seams wind up moving onto the flat sleeping surface. Years of experience have taught us that flat, non-quilted ticking is best for a couch bed mattress. Platinum Sofa Bed Mattress (4") Ordered replacement mattress for sleeper sofa in 2003 motorhome. They had just what I needed. Received in 2 days. The fit was perfect!! All closed up with no problem. Had out of town guest sleep on it 3 days after installing. They said that it was very comfortable. No odor. Platinum Sofa Bed Mattress (4") I was happy with the service and delivery. I was not able to give 5 stars because none has slept on it yet but it fit very well into my 20 year old sleeper sofa. Platinum Sofa Bed Mattress (4") Nothing is ever going to take the place of regular firm mattress, but the Platinum Replacement Mattress certainly works for a fold-out. Previously there was an air mattress with this couch and it was awful. When it started leaking we found You. Platinum Sofa Bed Mattress (4") I am very pleased with our pull out sofa replacement mattress. You never know what you might get. Platinum Sofa Bed Mattress (4") Louis was a great source of help and information to ensure I selected the proper mattress for size and comfort. Very happy with their service and the American made product. Platinum Sofa Bed Mattress (4") 3&1/2 months of great sleeping on your product!!! Glad we found your company! Gold Sofa Bed Mattress (4") Just want to let you know that mattress is perfect! And incredibly comfortable! So glad I found you on the web and that we chose to order from you. Many thanks for the excellent customer service and product! Platinum Sofa Bed Mattress (4") I am very impressed with this company. We replaced a sleeper sofa mattress which was a custom size. I had questions, and called customer service and got a very helpful man and who reminded me of the specific measurements I would need to take which would have been incorrect otherwise. The mattress arrived in a very timely manner and was very securely wrapped in plastic. It's 5" and so plush and comfortable. I can't say enough wonderful things about my experience with this company. WHY OUR SOFA BED MATTRESSES? Do your guests complain of sleeping on the sofa bed? Do you sleep on it yourself and can’t get a good night’s sleep? All of that is about to change! If you choose one of our hide-a-bed mattresses, you are going to like the sleep you get. Use high-density, high-compression, high-resiliency foam cores so you won’t feel the bar. Will not become permanently creased or bunched when folded into your sofa bed. Will perfectly fit your sofa bed. Will ship tomorrow if you order a common size mattress by noon today. Queen and full sofa bed mattresses (52″x72″, 54″x72″, 60″x72″) are always in stock. Will ship in about a week if you order a custom-made sofa bed replacement mattress. Need more information? Check out our Sofa Bed Mattress Buying Guide, which we created to help you make an informed decision. Or give us a call at 888.889.2812. We love to talk sofa bed mattresses!